During pregnancy, up to 13% of pregnant women can experience clinical depression or anxiety. Often, women who experience depression or anxiety during pregnancy are at greater risk of having an episode of postpartum anxiety or depression. 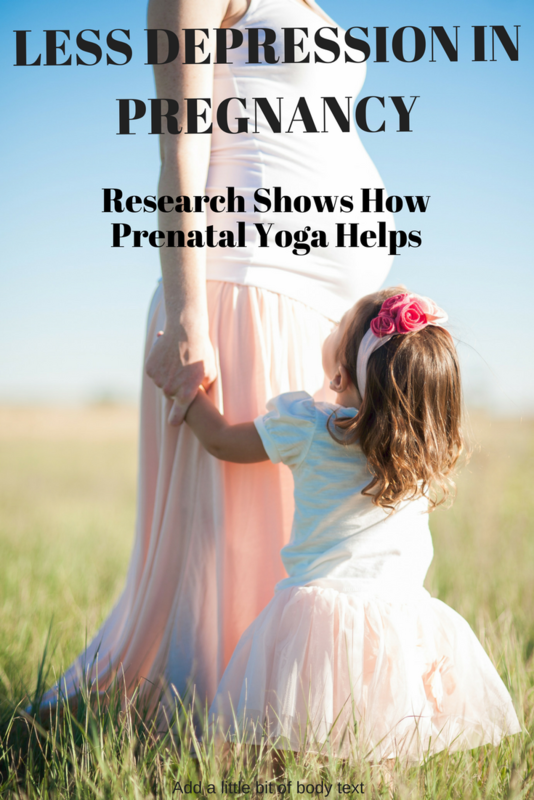 In addition to medication, and/or psychotherapy to treat pregnant women with depression or anxiety, new studies have found that Prenatal Yoga may be a promising alternative or addition to these interventions. Studies have shown yoga to be a safe and beneficial form of exercise during pregnancy for both mother and baby. In addition to the clear benefits of exercise, women learn focused breathing, and how to live in the moment, turn inward, and mentally and emotionally prepare for labor, birth, and motherhood. Though most randomized controlled trials have studied the physical outcomes of practicing prenatal yoga, one study done with women with depression in pregnancy had a positive outcome. This group of pregnant women with depression practiced yoga twice a week for 12 weeks. The trial found that these women had similar outcomes to a group of women who attended a support group over a period of 12 weeks. Better outcomes were reported when prenatal yoga classes were 90 minutes long, and focused on a format of both asanas/poses and mindfulness. Mindfulness is a way of learning to be more aware of yourself, your surroundings, listening to the cues your body and mind give you, and being in a state of non-judgment. Practice In A Studio Or Online? 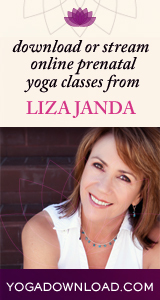 Whether or not you can make it to a prenatal yoga class, there are alternatives. There are online classes, so that you can practice at home. The online classes are extremely affordable. The downside is that someone with depression may find it difficult to motivate herself to practice yoga at home. Try to find a certified prenatal yoga teacher with extra education or experience in pregnancy, labor, and birth. 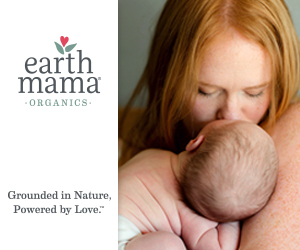 Choose someone with experience as a doula, childbirth educator, or many years of yoga experience teaching pregnant women. The class should consist of breath-awareness, warm-up postures that both stretch and strengthen low back and hips and various movement linked with breath also known as Vinyasa flow; standing poses, ie: warrior poses; poses on the floor for cool down and stretching purposes. All these should be followed by a brief meditation or focus on mindfulness and pranayama, or breathing techniques, ie: centering breath, alternate nostril breathing. Classes end in final relaxation in the side relax pose, the ideal resting pose in pregnancy.